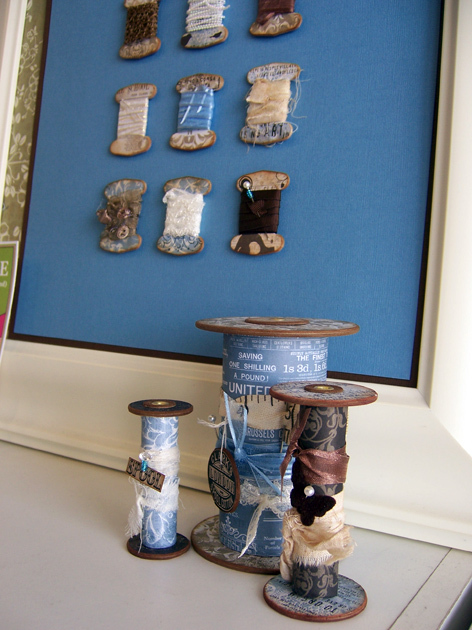 Natalie was so inspired by Collections that she has created these bobbins and spools; they would make a stunning display for your craft room. 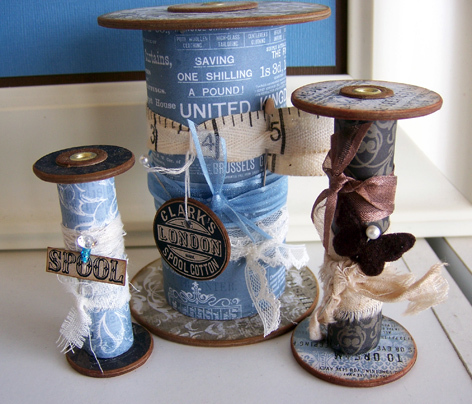 Meet with us to recreate your very own using gorgeous papers and products by Collections and wind your own favourite ribbons and lace to decorate. Here are some more that we have created.